This is a section from my forthcoming, second book on mysterious and mythical cats, which is entitled Cats of Magic, Mythology, and Mystery, and covers not just cryptozoological cats (as did my Mystery Cats of the World book back in 1989) but also legendary, literary, and supernatural cats, as well as anomalous feline behaviour, feline symbolism and worship, and lots more! It will be published in autumn 2012. "...I wish you wouldn't keep appearing and vanishing so suddenly: you make one quite giddy." Ever since Lewis Carroll's classic children's book was first published in 1865, literary scholars, Carrollian biographers, and cat-lovers alike have debated the source of one of its most enigmatic characters - the famously evanescent Cheshire Cat, with its maniacal, detachable grin! What was Carroll's inspiration for such a surreal creation? 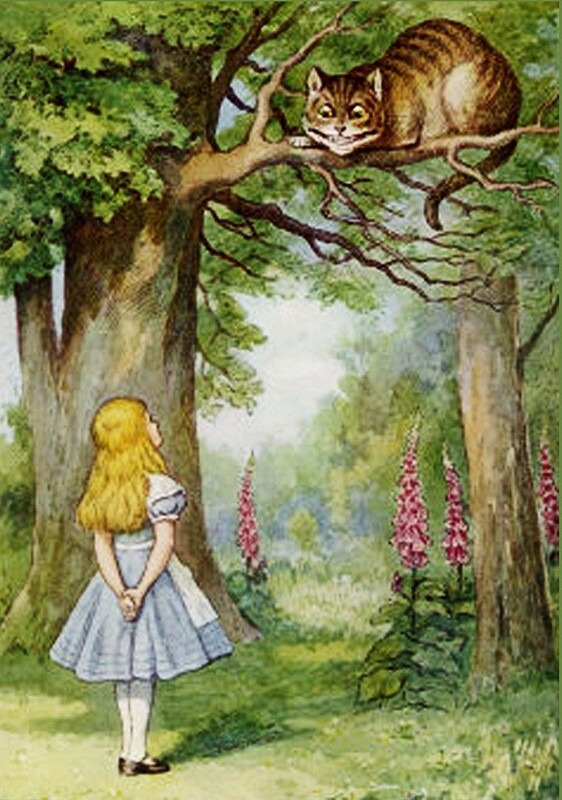 To begin with: as there is no such breed as a Cheshire cat, where did its name originate? Unlike most of its history, however, this seems to be quite straightforward. Born in 1832 at Daresbury in rural Cheshire, Lewis Carroll (whose real name was Charles Lutwidge Dodgson) spent much of his childhood there and later at Croft, a little further north. Consequently, he would have frequently encountered various of the local farm, pet, and stray cats - in other words, cats of Cheshire. 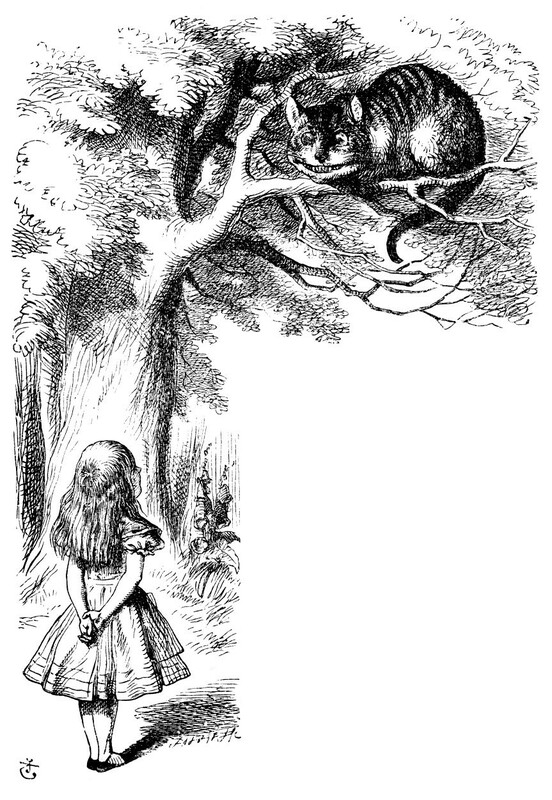 Moreover, as pointed out by Martin Gardner in The Annotated Alice (1960), there was a popular saying, current during Carroll's time - "Grin like a Cheshire cat" - which must also, surely, have influenced his choice of a name for his fictitious feline. 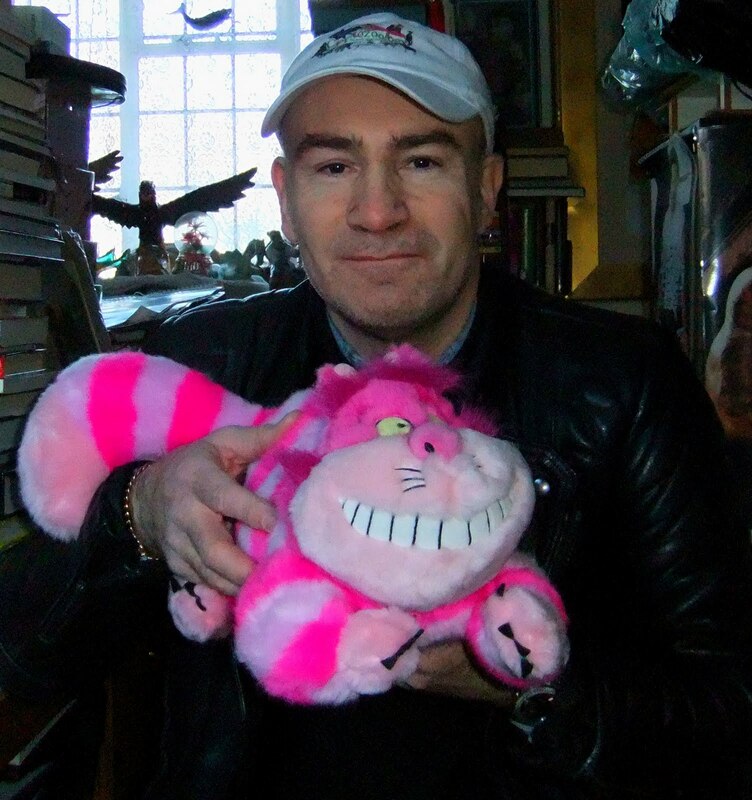 Hardly surprisingly, that phrase has been mooted by several scholars as the origin of the Cheshire Cat's synonymous smile too - but there are a number of other, equally compelling claimants for that particular honour. For example, it is well known that during the period when Carroll and his family lived in Cheshire, there were several inns whose signboards portrayed broadly-grinning lions; their incongruous visages would undoubtedly have attracted the attention of anyone so captivated by the allure of the ludicrous as Carroll. Notwithstanding this, he needed to look no further than his home county's celebrated cheeses for immediate inspiration. 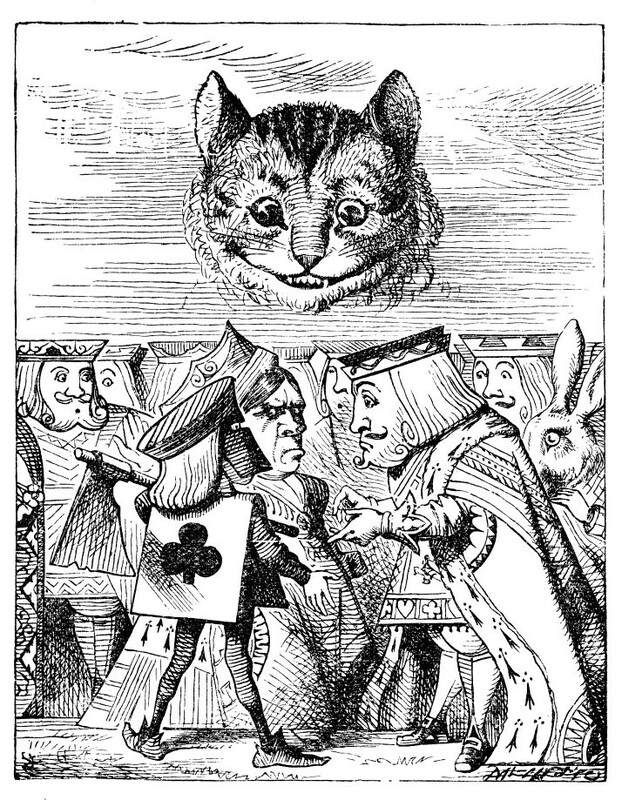 In her book Lewis Carroll: A Biography (1979), Anne Clark noted that a renowned medieval inhabitant of Chester, John Catheral, whose coat-of-arms from 1304 included a cat, always bared his teeth in a grin when angry - and died with a smile on his face, quite literally, while defending his beloved town. In honour of his valour, a longstanding tradition arose whereby Cheshire cheese-makers would mould their cheeses into the shape of a cat, and carve a wide grin upon its face. Once again, Carroll would certainly have seen such cheeses, and would have known the origin of their unusual form. Another potential influence can still be found in the Wirral village of Brimstage, just north of the current Merseyside-Cheshire border. Dating back again to medieval times, there is a stone effigy of a cat, whose red-hued lips were shaped by its long-demised sculptor into a very definite grin. As pointed out by Roger Lancelyn Green in his monograph Lewis Carroll (1960), Carroll may never have visited Brimstage, but as an avid reader throughout his youth he is very likely to have encountered some details concerning it. In a fascinating account entitled 'The Most Curious Thing I Ever Saw in All My Life', published in Cheshire Life in June 1960, the Reverend Kenneth Lee, Rector of Heswall, documented his own personal search for the answer to the longstanding literary mystery of the Cheshire Cat's origin, and revealed several important additional clues. During his peregrinations around Cheshire, he visited the village of Grappenhall, not far from Carroll's home village of Daresbury. Here, in its church, high on the wall immediately above the large west window, he spotted a carving in black stone of a cat with a grinning expression on its face. A previous writer had already commented that this might have been the original of the proverbial Cheshire Cat, and Lee speculated that Carroll may well have visited Grappenhall when he was a boy. In Pott Shrigley, another Cheshire village, Lee noted that the crest of the Pott family was a wild cat, as carved under the chancel arch here. He also recalled that certain other characters from Alice in Wonderland, including the King and Queen of Hearts, could have been inspired by figures carved in the old stone work outside this village's church - as suggested by members of the Archaeological Society following a visit here in 1922. In addition, Lee visited Brimstage to observe the stone cat noted above, which is a corbel carved in red sand-stone, supporting a pier in one of the ancient chapel's side walls. It also gave its name to the village inn that was eventually taken down in 1931. According to Lee, this feline statue is believed to be linked with the Domville family who lived in Brimstage Hall during the early 1300s, and whose coat-of-arms was a red lion rampant. Some say that the statue is the work of a stone mason who had never seen a lion but was asked by the Domville family to carve one; the result was a large cat wearing what proved to be more of a grin than the fierce snarl that he had intended. A second, equally interesting article dealing with the possible origin of the Cheshire Cat and entitled 'All This Grinning Cat Stuff', was published in Cheshire Life in November 1973. 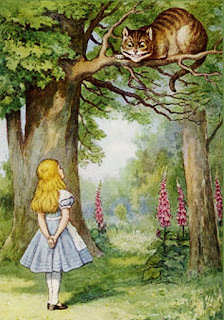 Its author was Jennifer R. Simpson, who delved much further back in time for solutions than previous writers - proposing that the Cheshire Cat tradition "...may represent the dim glimmer of ancient folk memories connected with the remote origins of our race". According to Simpson's hypothesis, the Cheshire Cat-related themes already itemised here could comprise the last remnants, or memories, of the former existence in this English region of an ancient cat-venerating tribe called the Khatti, who migrated to Britain from Spain, having previously entered Spain from Mesopotamia. However, it is a locality from Carroll's own time, one visited by him when he was still young, which has more recently disclosed an extraordinary secret that some Carrollian scholars believe to be the cryptic, much-disputed source not only of the Cheshire Cat's lingering leer but also of its own vanishing ability. As revealed in London's Daily Telegraph and many other newspapers worldwide during July 1992, Joel Birenbaum from Chicago was one of a party of 35 members from the international Lewis Carroll Society who had lately visited St Peter's Church at Croft - the village to which the Dodgson family moved when Carroll was 11 years old. In the 10th Century church, where his father (the Rev. Charles Dodgson) became rector, Carroll would have knelt in prayer; and it was there, at the altar, while also kneeling, that Birenbaum noticed a small grinning cat. Carved on a wall panel, in stone relief, it seemed very mundane, until Birenbaum knelt down further and then looked up - whereupon the cat began to vanish right before his eyes! 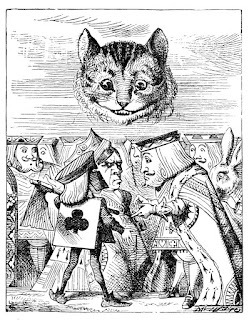 Due to an optical illusion, whenever Birenbaum raised his eyes up towards it from a kneeling position, the image of the cat was rendered invisible - except, that is, for its carved smile, stretching virtually from ear to ear, which lingered in precisely the manner described by Carroll for the Cheshire Cat! As soon as Birenbaum informed them of his remarkable discovery, each of the other 34 society members eagerly knelt down in turn in order to witness this extraordinary sight - and sure enough, the cat dutifully disappeared time after time, leaving behind only its grin to gratify its incredulous congregation of observers. It seems evident that this fascinating carving did indeed play its part in Carroll's creation of the Cheshire Cat as a virtuoso of the vanishing act and the disembodied smile - but so too, surely, did most if not all of the other feline factors given here. Rather than this complex story-book character and its idiosyncratic traits being spawned instantly, directly, and exclusively from the inspirational spark ignited by just a single factor, a more reasonable scenario is one in which they developed within Carroll's fertile imagination in a much more gradual manner - with each of the factors discussed here, every one in close proximity to Carroll during his youth, making its own contribution to their evolution. 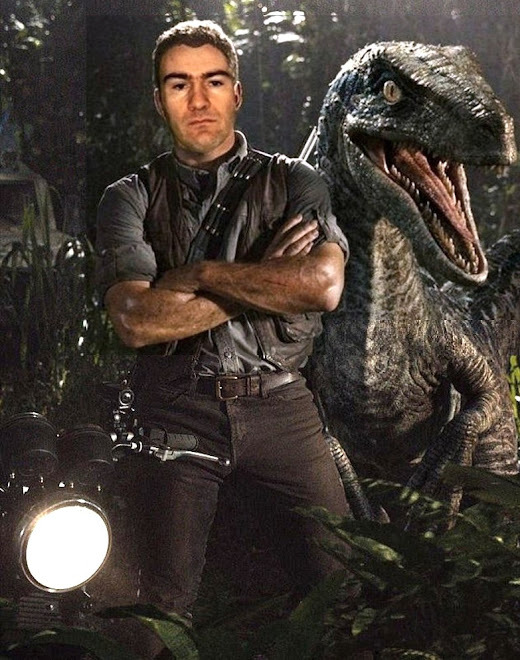 But enough of the past, for the present is no less exciting. Today, thanks to its defiantly enigmatic grin (second in fame only to the rather more demure version gracing the lips of Leonardo da Vinci's 'Mona Lisa'! ), the Cheshire Cat can bask in the secure knowledge that it remains one of the most popular literary felines of all time. Not bad for a character that didn't even appear in Carroll's original manuscript, entitled Alice's Adventures Under Ground - and reason enough, surely, to make any cat smile! To read my ShukerNature blog article concerning another of my favourite Alice's Adventures In Wonderland animal characters, the lugubrious calf-headed Mock Turtle, please click here.